Our range of products include cotton check tops n tunics, cotton tunics for women, designer tops for summer and cotton check tunics for women. 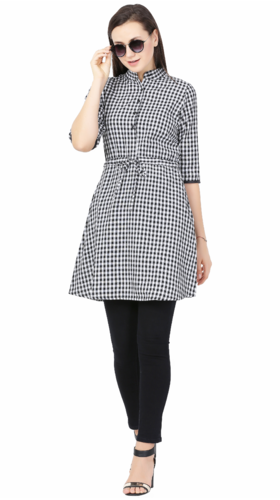 We are offering Cotton Check Tops N Tunics to our clients. Any quantity you can order, price will be as per order quantity. Sizes we make XXS to 6XL.Fabric too is important parameter to influence the fabric depending upon quality customer prefers. We are offering Cotton Tunics for Women to our clients. Any quantity you can order, price will be as per order quantity. Sizes we make XXS to 6XL.Fabric too is important parameter to influence the fabric depending upon quality customer prefers. We are offering Cotton Tunics for Women to our clients. Price mentioned as MOQ mentioned.but any quantity a customer can order, lesser quantity will attract higher prices. Sizes we make XXS to 6XL.Price mentioned as regular quality Cotton Check. As there are several qualities of cottons both high end n low end, if better quality fabric needed then price will be negotiated accordingly. 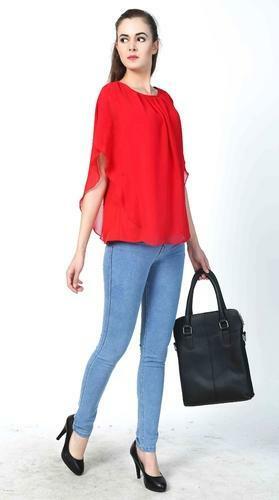 We are offering Designer Tops For Summer to our clients. Price mentioned as MOQ mentioned.but any quantity a customer can order, lesser quantity will attract higher prices. Sizes we make XXS to 6XL.Price mentioned as regular quality Georgette n crepe, if better quality fabric needed then price will be negotiated accordingly. Made in cotton check availability XXS to XL, 2XL-6XL, plus sizes got higher price.Any quantity small or big you can order but price will be negotiated accordingly.